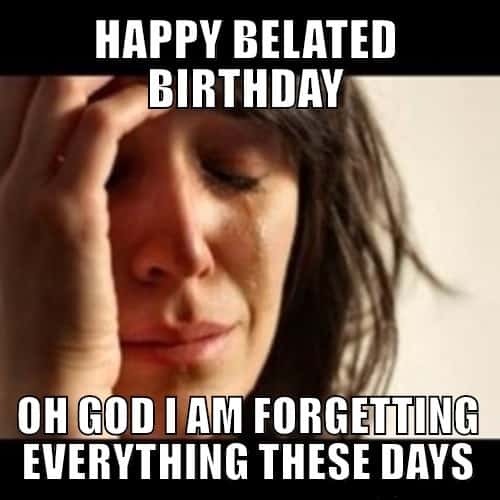 20 Funny Belated Birthday Memes for Forgetful People! Whenever someone that cares about you, forgets your birthday, they are very, very likely to send you a happy belated birthday card! 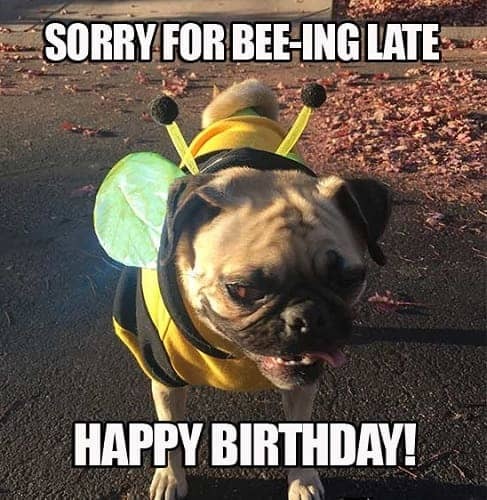 But let’s face it, the whole situation is so fun, we had to do a funny belated birthday memes compilation! 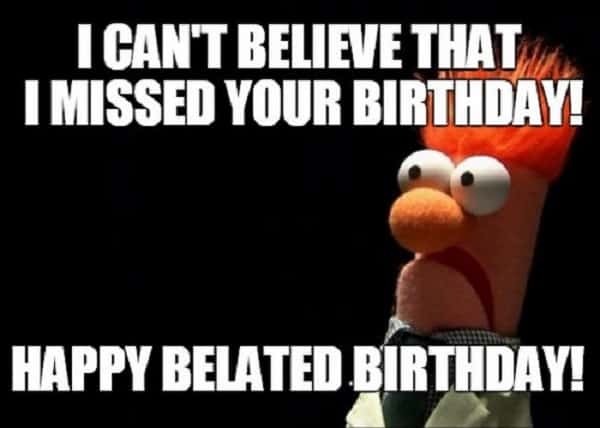 So, if this has ever happened to you, or you have been the one to forget your friend’s birthdays, sit down and enjoy this great compilation of funny belated birthday memes we put together just for you. 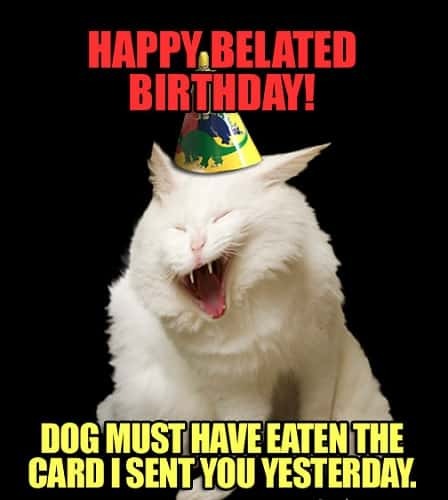 The fact that someone you probably care about, maybe a friend or a family member, forgot to congratulate you on your birthday, but they simply couldn’t let the thing go and decided to send you a birthday card days after, is kinda funny. 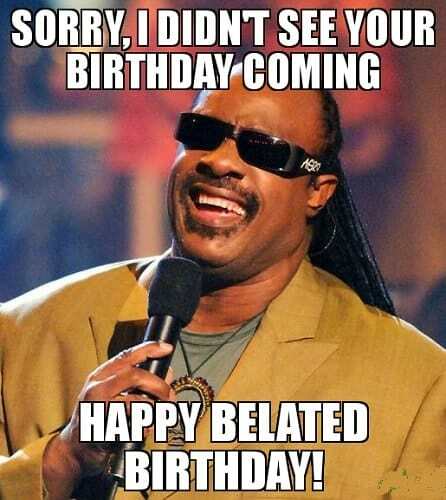 And these funny belated birthday memes compilation show just how fun this whole situation is. How awkward it is for your friends to have to congratulate you after your birthday has passed, and how funny it is to you have to accept the effort they put into at least remembering it after a few days. 1. 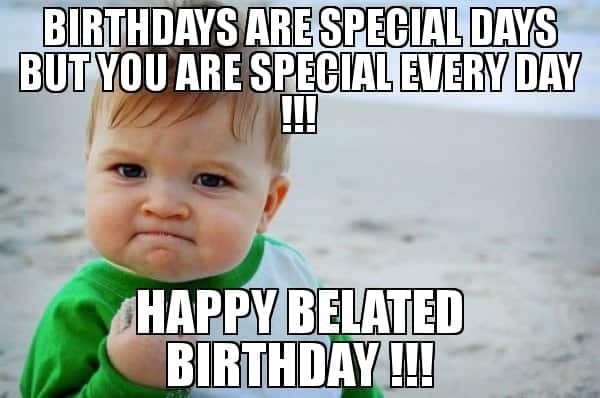 Birthdays Are Special Days But You Are Special Every Day!!! Happy Belated Birthday!!! 2. 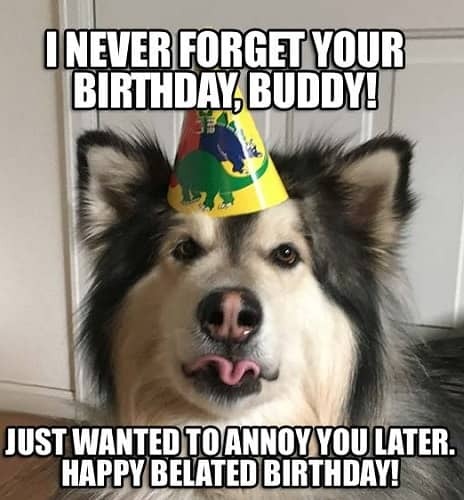 I Never Forget Your Birthday, Buddy! Just Wanted to Annoy You Later. Happy Belated Birthday! 3. 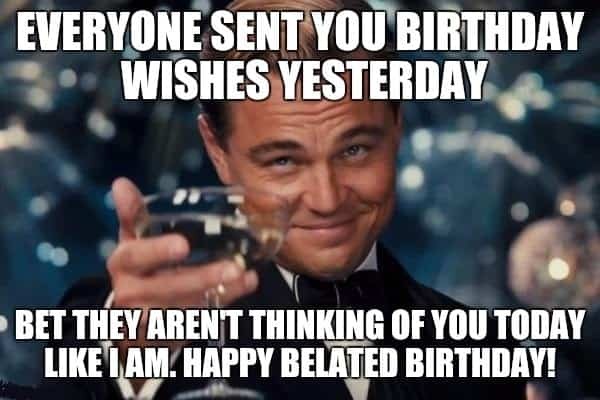 Everyone Sent You Birthday Wishes Yesterday. Bet They Aren’t Thinking of You Today Like I Am. Happy Belated Birthday! 4. Happy Belated Birthday. 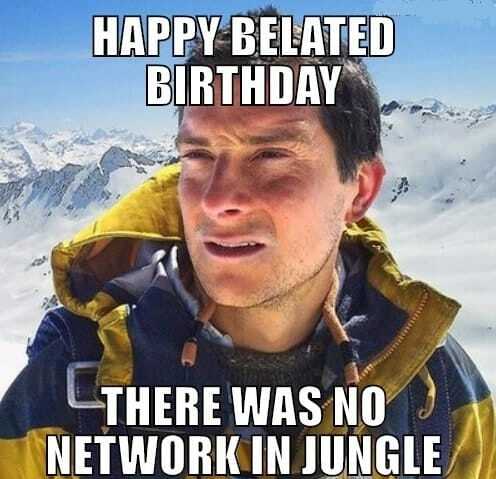 There Was No Network in Jungle. 5. 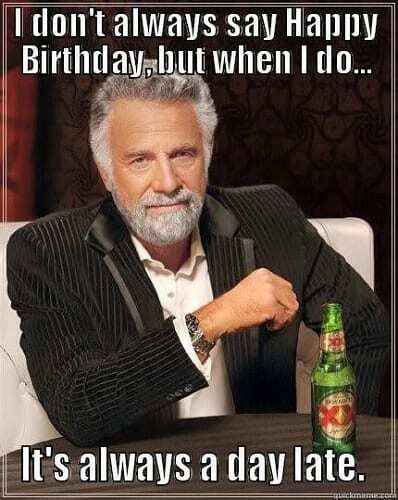 I Don’t Always Say Happy Birthday, But When I Do… It’s Always A Day Late. 6. I Can’t Believe That I Missed Your Birthday! Happy Belated Birthday! 7. Sorry for Bee-ing Late. Happy Birthday! 8. Happy Belated Birthday! Dog Must Have Eaten The Card I Sent You Yesterday. 9. Happy Belated Birthday. You’re Old. 10. 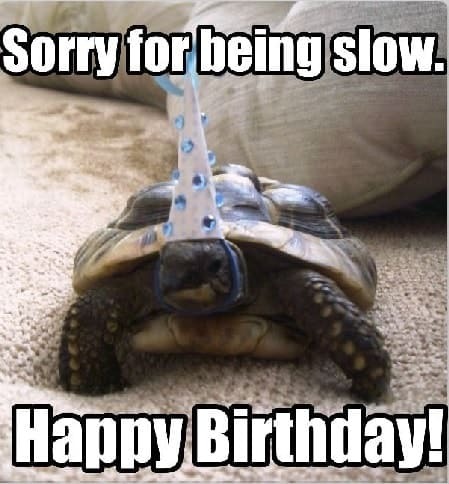 Sorry for Being Slow. Happy Birthday! 11. This Isn’t A Belated Birthday Message. 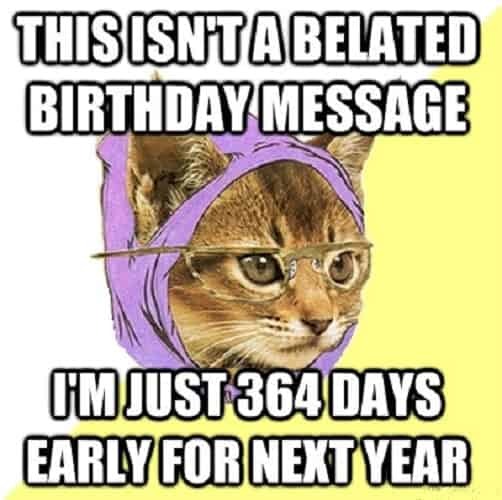 I’m Just 364 Days Early for The Next Year. 12. Sorry, I Didn’t See Your Birthday Coming. Happy Belated Birthday! 13. 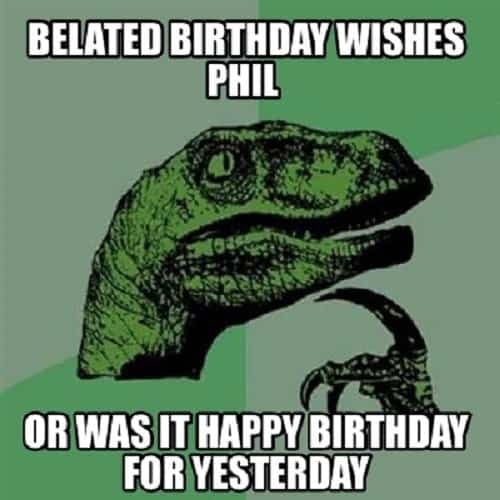 Belated Birthday Wishes Phil. Or Was It Happy Birthday for Yesterday. 14. May This Be The Least Belated of All Your Belated Birthday Wishes. 15. Greeting Happy Birthday Late. Since Saying It on Time Is Too Mainstream. 16. 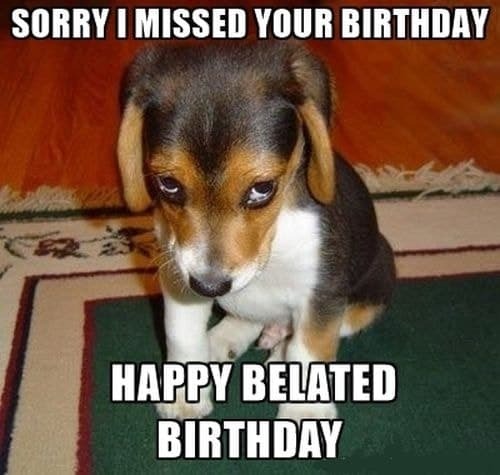 Sorry I Missed Your Birthday. Happy Belated Birthday. 17. 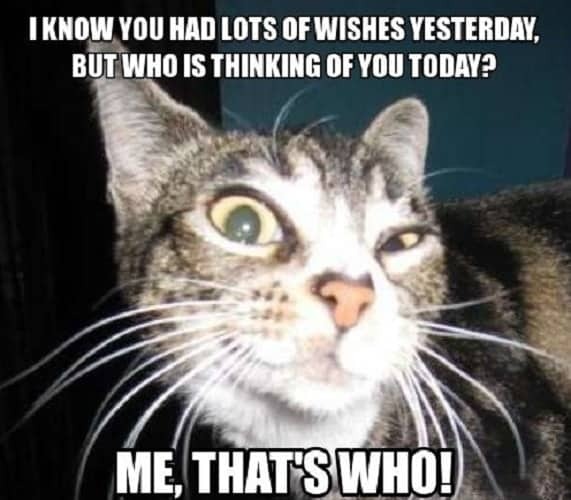 I Know You Had Lots of Wishes Yesterday, But Who Is Thinking of You Today? Me, That’s Who! 18. Happy Belated Birthday. Oh God I’m Forgetting Everything These Days. 19. Happy Belated Birthday. 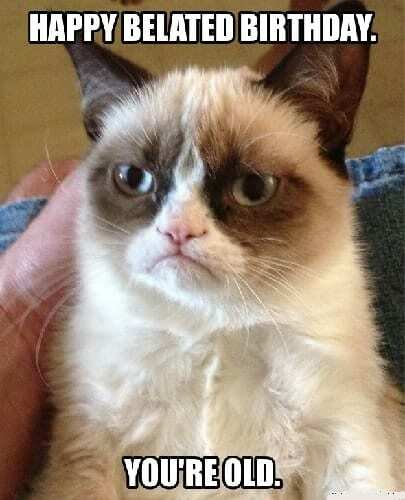 You Angry Dawg. 20. I’m A Little Behind! 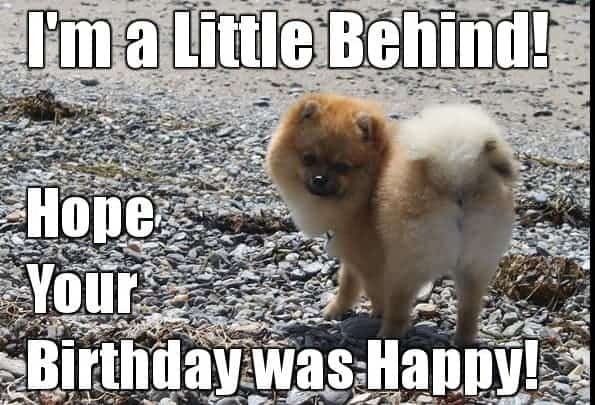 Hope Your Birthday Was Happy! 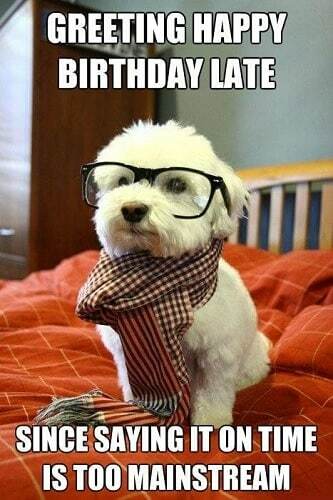 After you have seen all of memes, we guarantee, you simply won’t forget another of your friend’s birthday ever again! 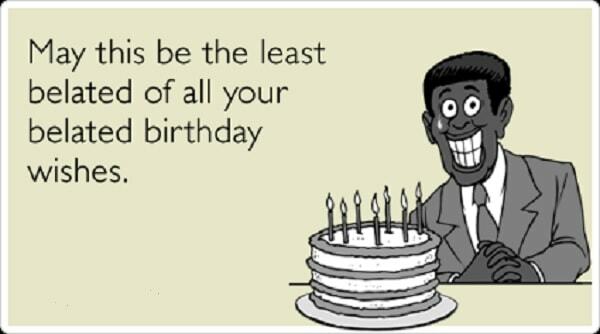 Or maybe you will, but now you can send them a belated birthday card AND this compilation of funny memes as well! You know, to remind them that yes, you forgot their birthday, but at least you can still make them laugh. Of course, don’t forget to check out other memes compilation! 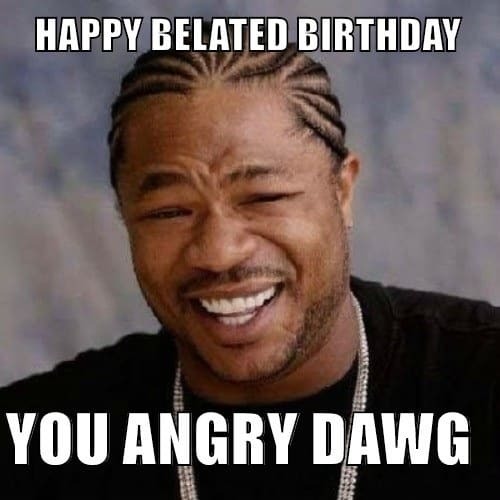 We have a bunch of different memes for literally every occasion (even for when you DO remember your friend’s birthdays!) So what are you waiting for? Go check them out as well!